Monday, Tuesday, Thursday & Friday: 7:30 a.m. to 5:00 p.m. Your scheduled appointment time has been reserved specifically for you. 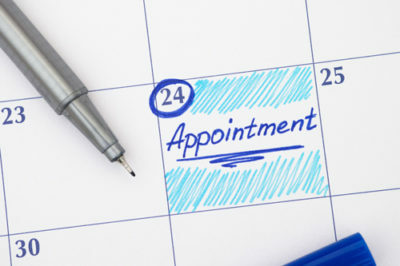 We are aware that unforeseen events sometimes require missing an appointment, but we request 24 hours notice if you need to cancel your appointment. Our mission is to provide you with affordable, high-quality treatment that fits your budget. We offer a variety of payment options to meet your needs. Our office accepts payment by cash, check, Visa, MasterCard and Discover credit cards. Our office is committed to helping you maximize your insurance benefits. If your insurance covers orthodontic treatment, you will receive the benefit of reduced personal costs. Many insurance policies have a lifetime orthodontic benefit that is distinct from regular dental insurance. Insurance policies vary, so we will review your insurance to determine the appropriate course of action. Please remember that orthodontic insurance is a benefit for you or your child. If, during treatment, your benefits change, the financially responsible party is accountable for all charges. Because insurance policies vary, we can estimate your coverage in good faith, but cannot guarantee coverage due to the complexities of insurance contracts. Your estimated patient portion must be paid at the time of service. As a service to our patients, we will bill insurance companies for services. Once treatment has started, we will file your claims. To make your treatment more affordable, we also offer flexible, interest-free financing options through our office. We will thoroughly explain your choices and work hard to accommodate your needs. If you have any questions about financing or payment, just ask us!